There is a prevalent myth out there that bankruptcy is bad, really bad. 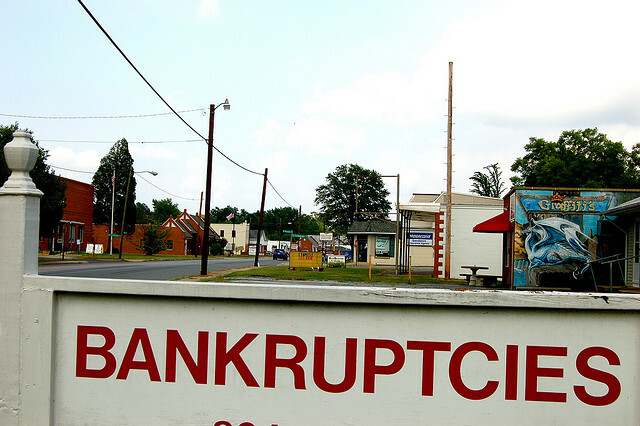 Not to say that bankruptcy is good (of course it is not) but how bad is it really? The truth is that once you file bankruptcy, it can remain on your credit report for up to 7 years and 10 years in certain instances. But with a bankruptcy you get to start over. If you have bad credit and you can’t pay your bills, the negative credit will stay on your report for 7 years from the date of first delinquency. You probably will not be able to get credit while you are showing the negative items on your report. Your credit score will probably not go up much until you pay everything off and not much even then. But with a bankruptcy, you can begin again, perhaps with secured credit card or some type of loan for people with bad credit and your credit score will start to increase. You can get credit after a bankruptcy, and if your credit was really bad you may not have been able to get it before anyways. In fact, if your credit score is really low because of late payments, charge-offs and more it is possible that your credit score will actually increase by filing bankruptcy. Of course, only if it is really low though. But the truth is that if you can’t pay your bills, bankruptcy is often the best option even if the lenders and others say it is financial suicide. If you can’t pay your bills it is financial suicide not to file bankruptcy. I’m not saying that everyone should go out there and file for bankruptcy, but in some cases you have no other choice. Would you ever file for bankruptcy? Why or why not?